Preheat oven to 180C/356F. Place all the ingredients in a large bowl and mix well together. Form a ball from dough and refrigerate for about 20 min. 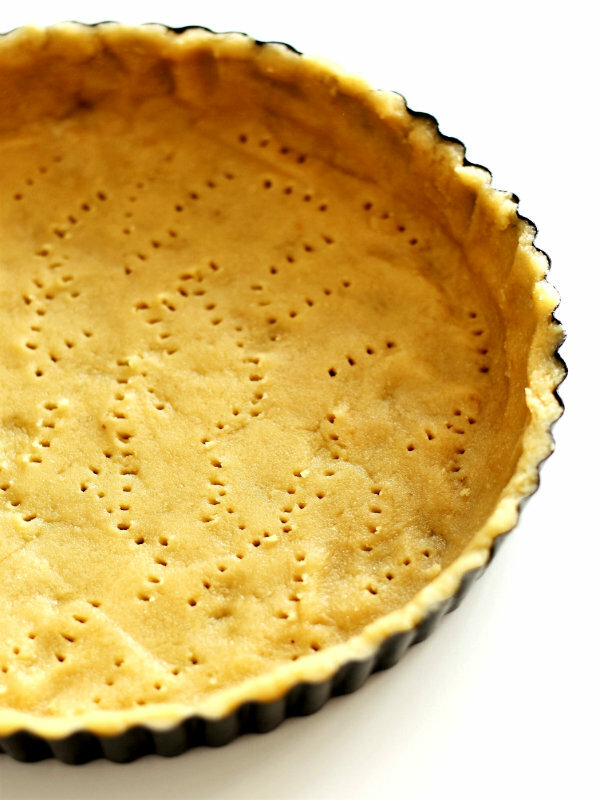 Press evenly into 23 cm wide loose bottomed tart tin, pierce with fork and bake for about 15 minutes until very slightly browned. Firstly love the blog, getting some good recipe ideas. Now for the reason I'm here, what would you recommend for someone with a nut allergy when it comes to making a base which would still be diabetic friendly? Can other oils such as olive oil be substituted in this recipe? Hi Ewelina so glad to finally find a good place for Diabetics recipes i was in a dilemma i didnt think there was anything for me to eat so i was eating all the wrong things all i eat is salad cut out potato and cut down to 4 slices of bread im a sandwich lover hamburgers so this site can help me eat right? Thanks Wendy :) Our diet needs adjustments but it doesn't mean it has to be boring. As for bread I would recommend low carb versions. Have a look at livlife bread (sold in many supermarkets) or high protein rolls in Lidl. I've just looked up the price of soy flour and it is prohibitive for me so what could I use instead. Almond flour? Hi just diagnosed type 2 diab. Found your website - fab! Life is not over then!! this quiche/tart base - how many carbs per portion please? Thanks so much.